Seven scrapbooks assembled by Ed Brennan throughout his life. They are stuffed with newspaper clippings, programs and photos that all relate to band music. Bands are recognized from local, Maynard Community Band to international, Canadian Natrional Band. If it had to due with a band, Mr. Brennan clipped and saved it. 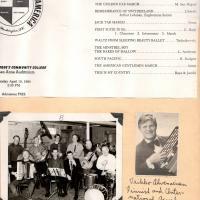 The sample page shows a program of the National Concert Band, 1988, photo of the Boiler Room Boys, 1970 and a newspaper clipping of Veikko Ahvenainen of indeterminate date. 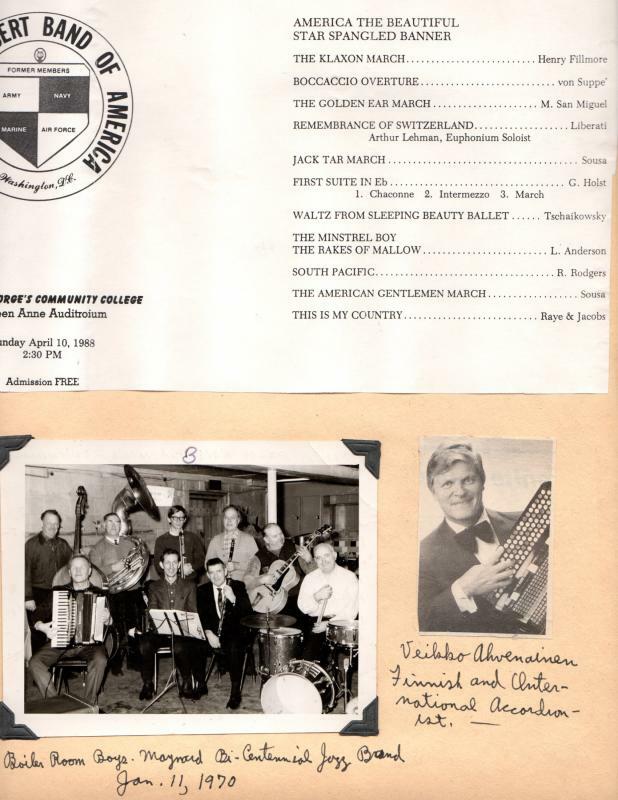 Edward Brennan., “Edward Brennan's Music Scrapbooks 1940's-1980's,” Maynard Historical Society Archives, accessed April 24, 2019, http://collection.maynardhistory.org/items/show/6609.